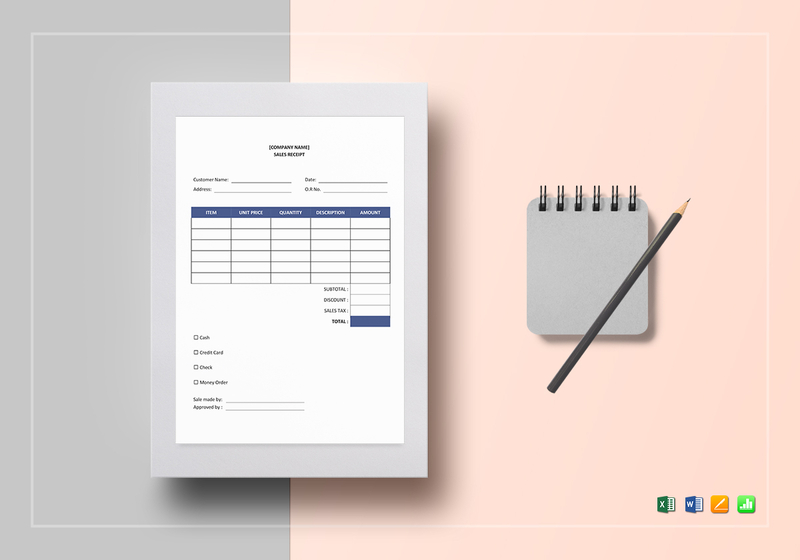 Easily make receipts with this Blank Sales Receipt Template available for immediate download anytime and anywhere. 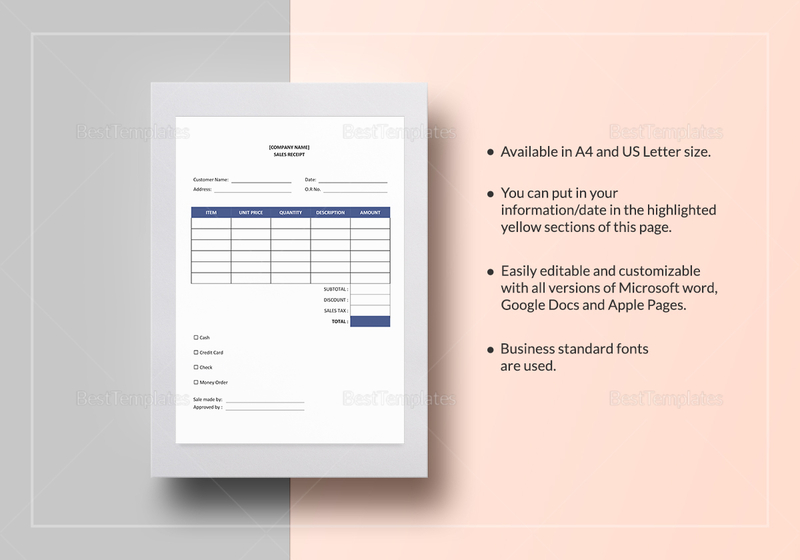 This easy to edit document comes with standard business fonts in A4 and US letter sizes. Just open and edit the document using any app or software program that is compatible with MS Excel, MS Word, Numbers, or Pages file formats.